* Icecast, RTMP and SHOUTcast audio source streaming. 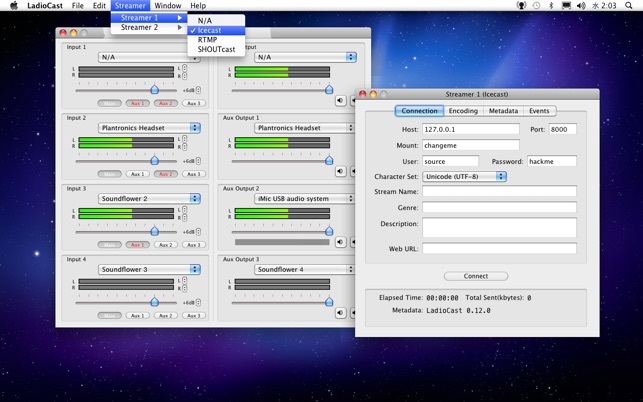 * Ability to transmit audio streaming to multiple servers simultaneously. * Supporting Ogg Vorbis, MP3, AAC, HE-AAC, Ogg Opus and Ogg PCM encoding formats. 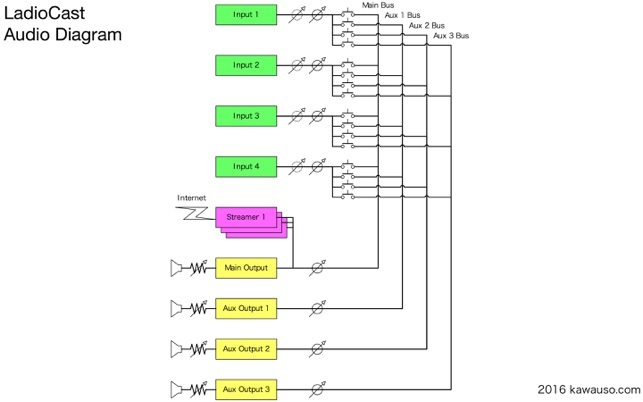 * Equipped a 4in/4out/4bus audio mixer routing audio data from input devices to output devices flexibly. * Controllable connection events by AppleScript. • Removed the ability to pan input stereo channels. 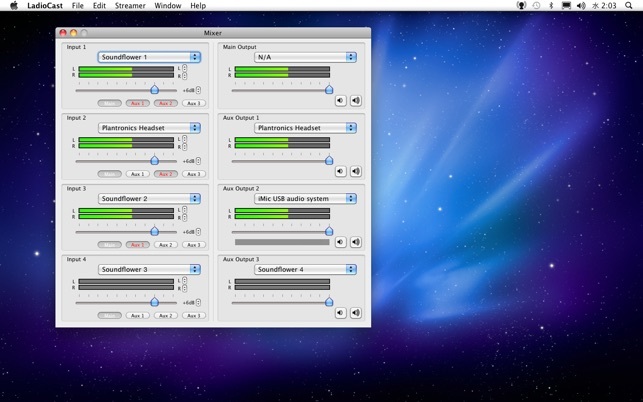 • Enabled to map any input channel of multi-channel audio devices into stereo. Downloaded Ladiocast. Opened it. A day later I’m working on some digital recordings and an option for “Audiojingle” shows up in my Sound Preferences system pane. What is this? I can’t find an adequate answer. Etrecheck says it’s probably harmless, but some have found it to be causing errors on their Macs. So I uninstalled Ladiocast. The uninstall wasn’t as easy as it could be, and I had to find the Ladiocast driver file and trash it in order to get rid of “Audiojingle". As I’m finding out “Audiojingle” is used in other sound programs. Until I know what it is I won’t be using programs tat run it. 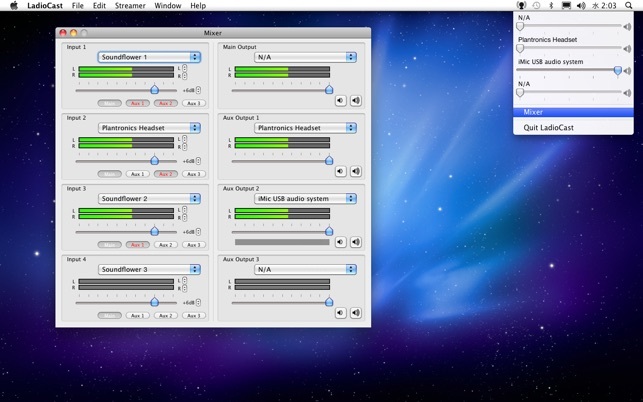 Would it possible to see LadioCast add an additional of 4 inputs making a total of 8 inputs in the application? This would be a great advantage for getting additional inputs. 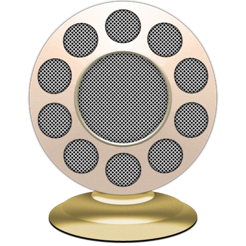 This program is perfect for podcasting, as it understands the need to have different mixes for different people that are on different sides of a phone call. 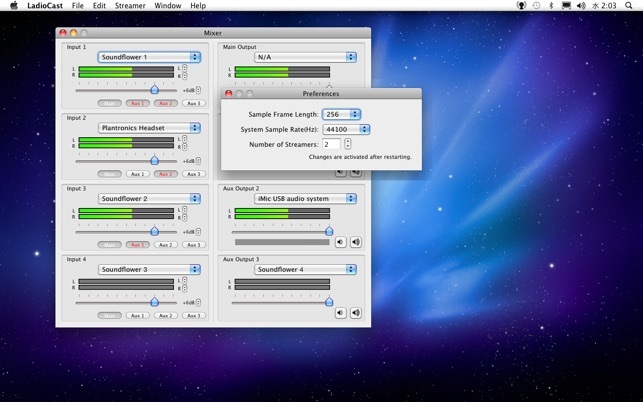 Three different inputs and outputs are enough to solve most mixing problems, especially if you use Soundflower as well. It works absolutely as advertised.